Are you ready to venture into the unknown? 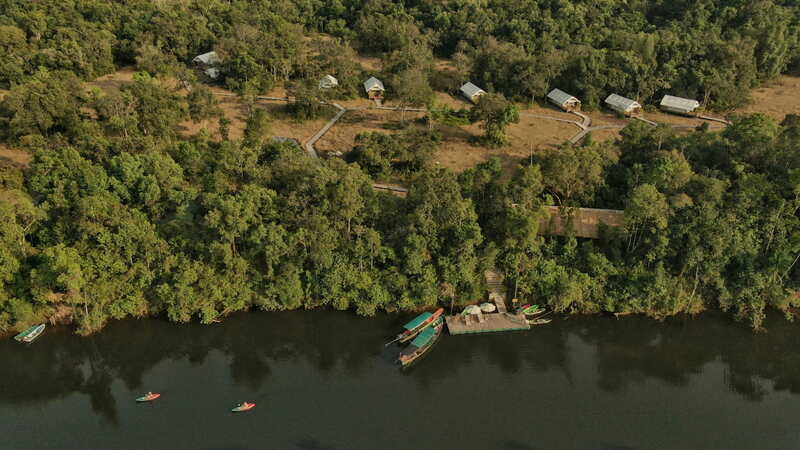 Cardamom Tented Camp is an ecolodge located in the Cardamom Mountains in Cambodia. 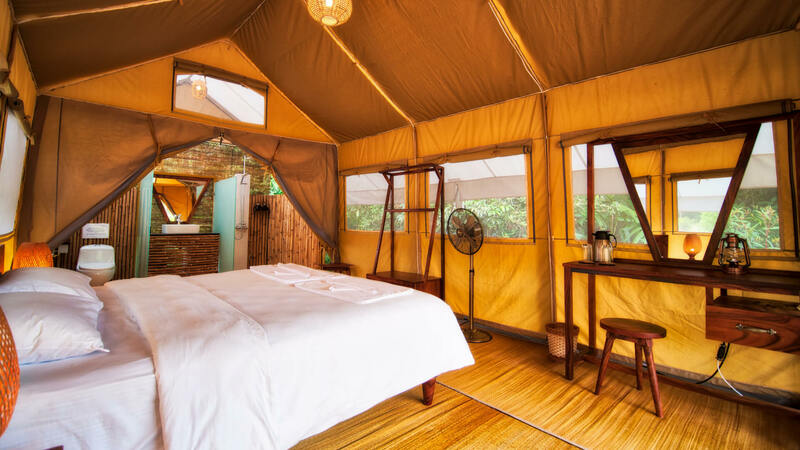 Offering nine luxurious safari-style glamping tents, the lodge aims to minimize the human footprint on the natural world and serve as a role model in promoting sustainable ecotourism practices within both the national park and Cambodia as a whole. With the tagline, ‘Your Stay Keeps the Forest Standing,’ Cardamom Tented Camp is a three-way initiative between The Minor Group, YAANA Ventures and Wildlife Alliance that offers eco-friendly packages to adventure enthusiasts keen to be a part of real conservation work. 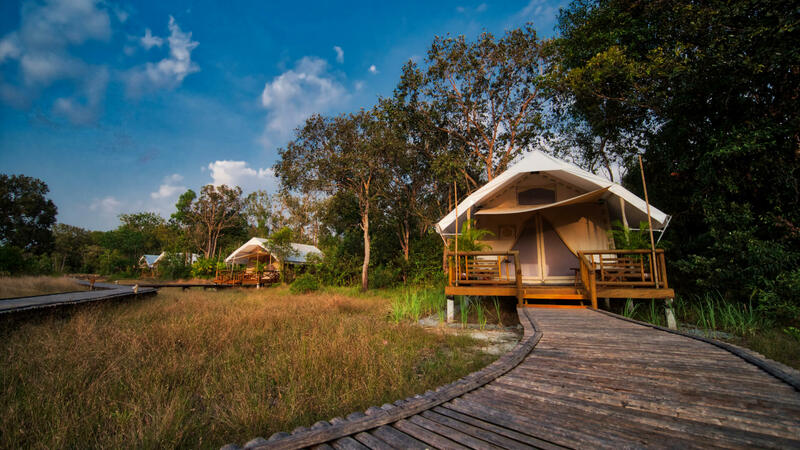 The eco-camp is home to nine comfortable safari-style tents located inside Botum Sakor National Park that minimize the human footprint on the natural world and serve as a role model in promoting sustainable tourism practices in the park and within Cambodia as a whole. Cambodia’s vast forests and pristine natural resources are threatened by illegal logging, poaching and habitat destruction. By adhering to sustainable tourism practices, Cardamom Tented Camp is making a stand against these destructive trends. Our Trekker Package you will learn about Wildlife Alliance’s operations and join a patrol with Wildlife Alliance Rangers trekking through dense jungle along abandoned poaching and logging trails. Visit the Rangers Station where the confiscated equipment of poachers – including traps and improvised hunting rifles – is on display. You’ll be stunned by the diversity of flora and fauna in the park. Keep your eyes peeled for macaque, gibbon, hornbill and other rare wildlife. Guests can also kayak down the Preak Tachan River, or take one of the self-guided hikes along our carefully selected trails. 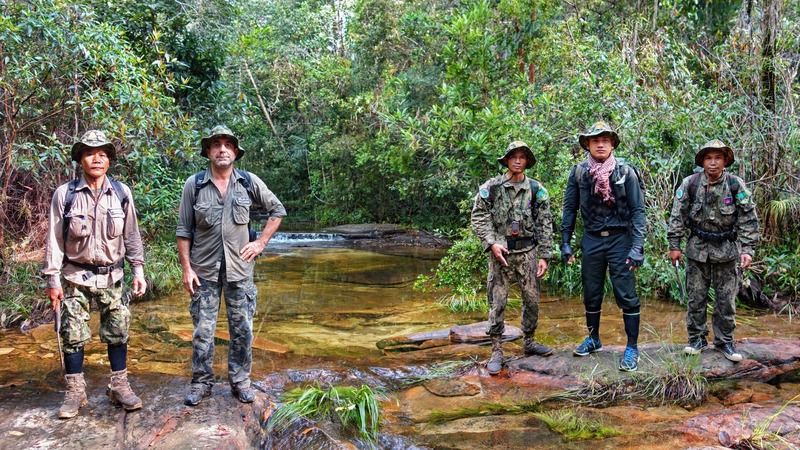 In addition to going on patrol with Wildlife Alliance Rangers, this Explorer Package provides you with a unique opportunity to explore the forest, mangrove and river areas on your own. You can go hiking, use our kayaks to paddle along the meandering waterways, or simply relax by the river on the camp’s floating pontoon and soak up the magical atmosphere. Keep your binoculars handy for those delightful opportunities to observe rare birds and other wildlife. 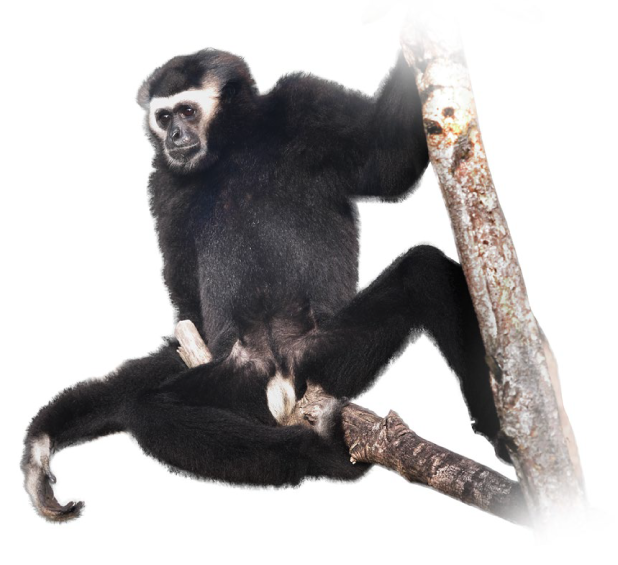 In the mornings and early evenings relax to the sounds of the echoing forest, such as the hauntingly beautiful whooping of the gibbons. a pristine biodiversity comprising of gently sloping lowlands and coastal habitats that is home to some of the world’s most endangered species. Cardamom Tented Camp’s objective is to support the conservation efforts of Wildlife Alliance in cooperation with the local community, enabling guests to participate in conservation-related activities that protect the evergreen forest and its animals. Subscribe to our newsletter for updates on our conservation work, plus our latest deals and discounts. We promise not to spam you.